(Empty Backbone) Shuttle vector for us in AdEasy System. 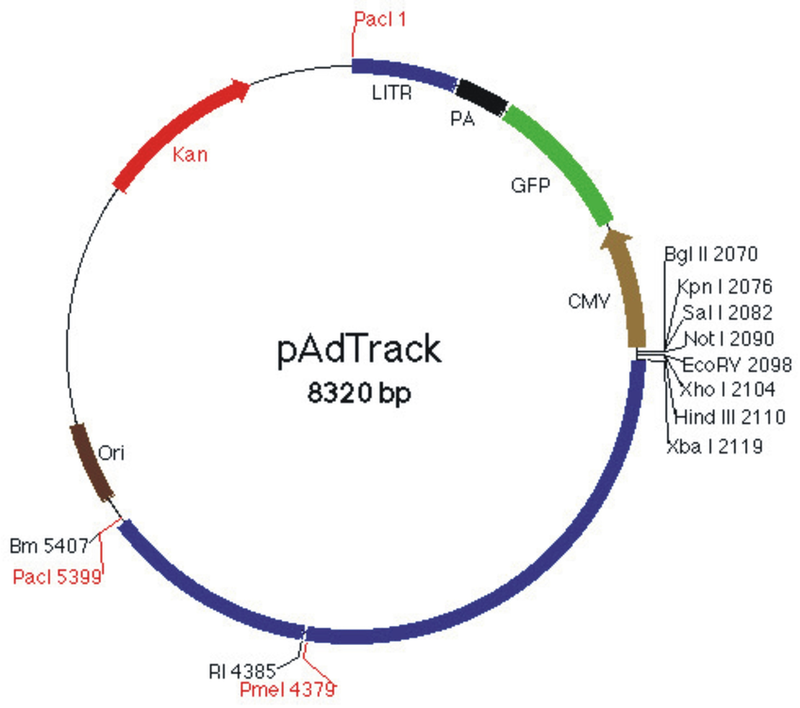 Used for expression of transgenes under a chosen (non-CMV) promoter when a GFP tracer is desired. 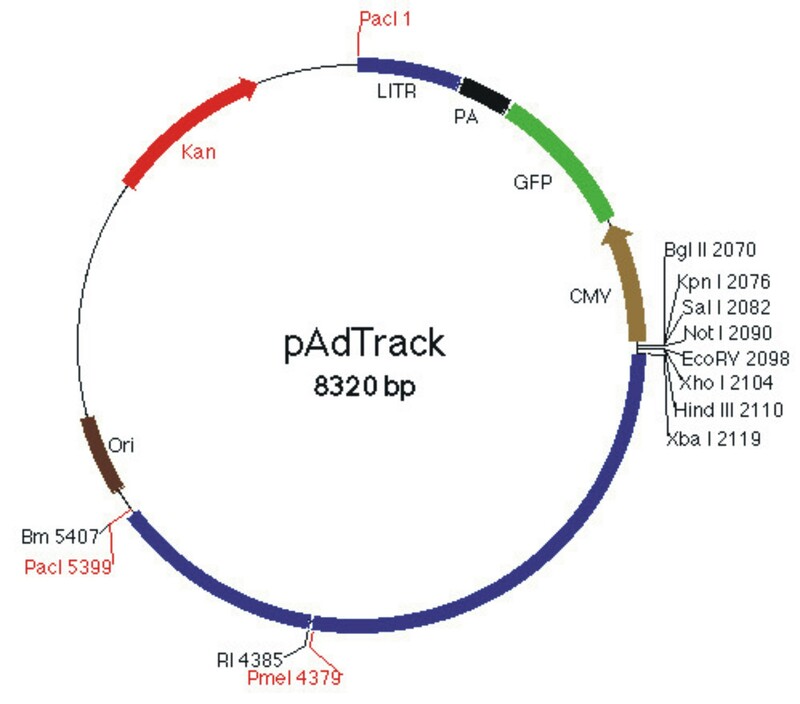 Vector pAdTrack is used for expression of transgenes under a chosen (non-CMV) promoter when a GFP tracer is desired. 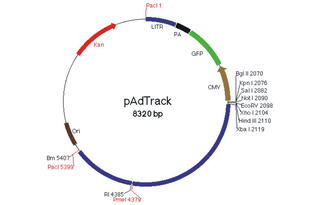 Max insert size = 5.9kb with pAdEasy1 and 8.6kb with pAdEasy2.